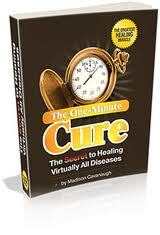 Madison Cavanaugh is an alternative health journalist and the author of 7 books. The book then covers the importance of oxygen and how hyperbaric (high pressure) oxygen therapy is used to treat many health conditions including emphysema, asthma, pulmonary disease, pneumonia and carbon monoxide poisoning. There are also many other controversial claims with regard to curing cancer, hiv, arthritis, eczema, acne and other diseases. The author discusses a theory that nearly all disease is related oxygen deficiency and how oxygen as a form of treatment for other diseases has largely been overlooked. Chapter 1 starts out by stating that the oxygen therapy presented within does not actually "cure" disease, but rather creates an environment where disease can’t exist. The body therefore heals itself by creating a disease free environment. There follows a really good critique on the big business of medicine and disease. How the pharmaceutical industry has more to gain by manufacturing drugs that relieve the symptoms of disease and less to do with curing the disease. Also, how so called fictitious diseases have been invented to further capitalize on what really amounts to poor nutrition in the modern diet! The huge market for nutritional products also comes under the hammer with a lot of examples of unsubstantiated health claims and hoaxes that have not only taken money from the publics pocket but in some cases resulted in negative impacts on their health. The author then goes on to explain how he came across the form of oxygen therapy outlined in the book and why for something that had been around for such a long time, it is not more commonly practiced? The reasons why are clearly explained and are again mainly aimed at the profit driven pharmaceutical industry. But the idea that this form of oxygen therapy, ingested in the form of diluted hydrogen peroxide or otherwise, is very cheap and not motivated by profit - I think is a bit misleading or a clever form of misdirection! The therapy itself may of course be very cheap but being skeptical I can’t help thinking that the book itself is sold for a profit - placing a bias on what it has to say! Chapter 2 talks about the most feared diseases in America (Cancer etc)and how the type of oxygen therapy detailed has effectively cured people suffering from these diseases. Personally, I would appreciate more evidence in this section because the statements made are highly controversial. However, some doctors are referenced by name to have had some success with oxygen therapy. After this we are told what oxygen therapy is and a little about its history. It is interesting to note, the authors claim that a good breathing regime is not a good substitution for the oxygen therapy recommended. Elsewhere I have read that too much oxygen is not good for you and the body limits concentrations of oxygen in the major organs. Only 15% of the oxygen you inhale is absorbed by the blood. It might be that in polluted cities not enough oxygen is absorbed to maintain a healthy body although it appears that even over long periods of time there has been little change in the levels of oxygen in the atmosphere. Perhaps we are somehow living an oxygen-depleting lifestyle. I would argue that we’ve also lost the ability to breathe correctly and that oxygen therapy is perhaps one way of restoring the balance. Chapter 3 talks about the use of oxygen therapy and how it can be simply administered at home. It tells why oxygen therapy maximises delivery of oxygen to the cells to cure and prevent disease and goes on to cite yet more evidence from around the world where oxygen therapy has been successfully used - a list of treated diseases is given. Then follows, an interesting section on how oxygen therapy has helped people with many of the ailments we commonly associate with modern living. The chapter continues with what the doctors are saying, all good, obviously! In Chapter 4 we learn about the correct dosage to use and the different forms of application. It’s a chapter well worth reading simply because of the safety aspects and other things you might expect when undergoing oxygen therapy treatment. Other applications of the compound used in this form of oxygen therapy are discussed. It is interesting to note how both good and bad bacteria are effected by the treatment. Chapter 5 shows how the compound used in this form of oxygen therapy is a naturally occurring substance. An interesting point is made about the spring water found in the Hunza area of the Himalayas. The spring water contains high levels of the active compound. My interest is peaked because the people in this area are known to live much longer than average. Chapter 6 is concerned with the controversy surrounding oxygen therapy, particularly the arguments that on the surface appear to contradict a lot of mainstream theory. Comparisons are made with homeopathic treatments that also make use of small doses of what otherwise would be dangerous chemicals. As a conclusion of this book, this can be cheapest cure for all diseases.